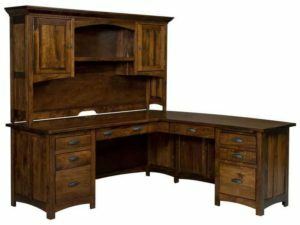 Designed to maximize both space and elegance in your home or office, the corner desks below come with a wide variety of styles and features. 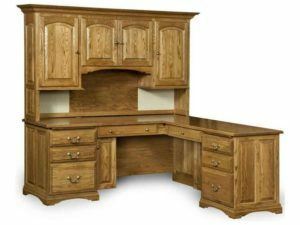 Plus, Amish cabinetmakers custom-build each one from solid hardwood. 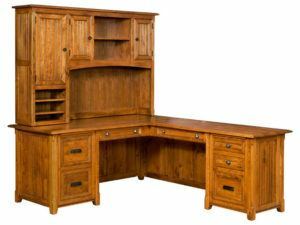 So each desk in incredibly handsome, durable and long-lasting. 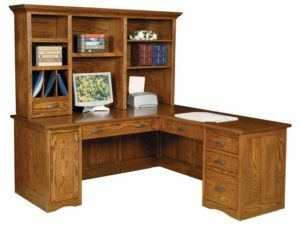 The Mission Corner Computer Center has efficient storage and clean style. If organization is what you are looking for, then this is the desk for you. 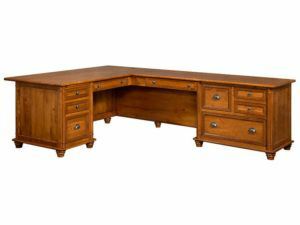 Any office space will look great with the Ashton Corner Desk with Topper. 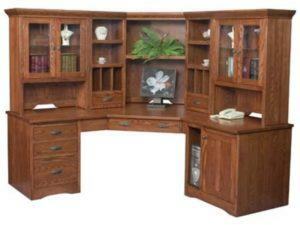 Shown in Rustic Cherry with Seely Stain. 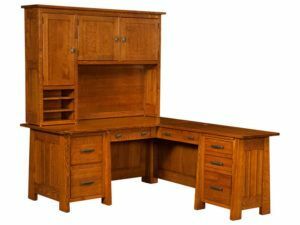 The Belmont Corner Desk offers beautiful hardwood design and a rich elegant finish.Shown in Rustic Cherry with Seely Finish. 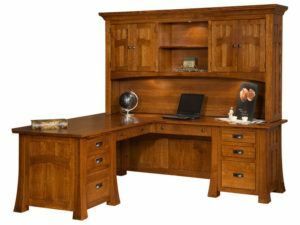 The Belmont Executive Corner Desk is built with fine Amish craftsmanship. 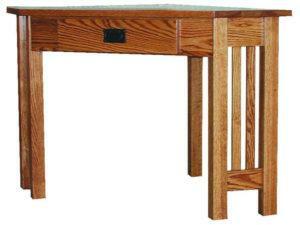 It is shown here in Quartersawn White Oak with Michaels Cherry Finish. The Bridgefort Mission Corner Desk with Topper can be placed anywhere since both the desk and return offer finished backs.Shown in Quartersawn White Oak with Michaels Cherry Finish. 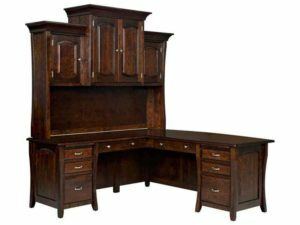 The Freemont Mission Corner Desk with Topper features a rich finish and tons of storage. 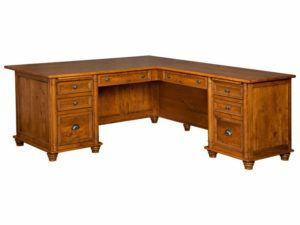 The Modesto Corner Desk offers storage and a beautiful modern style. 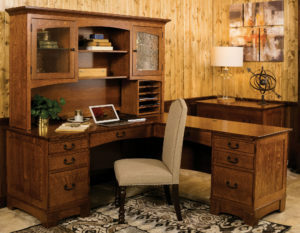 The corner desks above from Brandenberry Amish Furniture offer dynamic storage space and elegant construction. 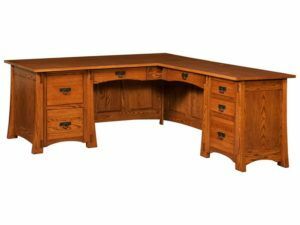 Skilled Amish artisans custom-build each desk. And they use solid Midwestern hardwoods like oak, maple, cherry and hickory. So the desks are incredibly sturdy. 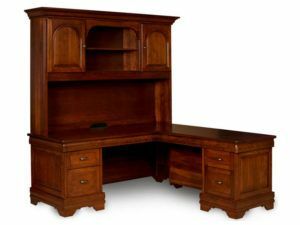 And, with proper care, the corner office desk, small corner desk or small corner computer desk you choose should last for generations to come.